Welcome to my website, where you can find out about my debut novel, Fire And Sword, set in late 15th century Scotland and published by Hadley Rille Books. Based on real characters and real events, it follows the changing fortunes of John Sempill, a baron from Renfrewshire, as he fights to defend his inheritance following the murder of King James III at the Battle of Sauchieburn in June, 1488. 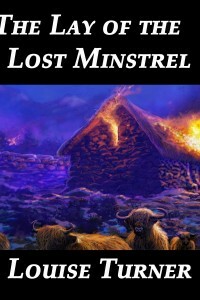 If you enjoyed reading Fire and Sword, then you may like The Lay of the Lost Minstrel. After the death of the Scots king, William Haislet wonders if it’s time to cast aside his old loyalties to the Sempills of Ellestoun, and seek instead a secure future in the Lord Montgomerie’s retinue…. 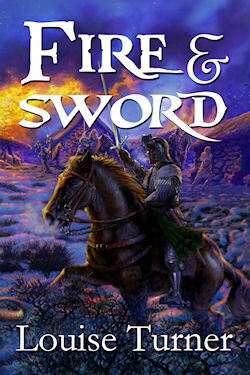 I was working as an archaeologist in Glasgow when I first started writing Fire and Sword. I’d wanted to write a novel set close to home, mainly because the West of Scotland wasn’t well-represented when it came to historical fiction and I was keen to redress the balance. As I searched the sources for inspiration, I found one brief reference that intrigued me: an account detailing letters of fire and sword issued by King James IV to Sir John Sempill, Sheriff of Renfrew in September, 1489. These referred to ‘burnings, hardships and destruction’ in Renfrewshire and to an attack made by Sempill on the Place of Duchal in ‘times bygone’. This marked a curious change in circumstances for Sempill. In June 1488, he was on the losing side at the Battle of Sauchieburn. And yet, just over a year later, he’d rebuilt his fortunes, and won himself a knighthood. I wanted to find out just how he managed it, and writing a novel seemed a perfect way of finding out. Sempill lived at a time when Scotland was notorious for its feuds. These took their toll on everyone, from the ruling classes right down to the ordinary people. Local sources often trivialise these events, shrugging them aside as if they were just an inevitable part of life in the barbaric past. But digging deeper, I found that these disagreements often stemmed from decisions made at the highest level, and it was often the least powerful members of the community who suffered most. Nearly 500 years have passed since John Sempill’s death, but his legacy still survives today in Renfrewshire. The name ‘Castle Semple’ is still used for the old Semple lands around Lochwinnoch, where John’s tomb can be seen at the Collegiate Church of Castle Semple which he founded in 1504. But the story of his life and his achievements is largely forgotten. As I wrote Fire and Sword, I did my best to uncover the facts and stick to them as much as possible, but there came a point where history fell silent. This was the moment when the archaeologist had to take a step back and let the writer take over. But the research remained important, underpinning the fiction and creating a solid structure on which to build the story. I created this website to add a little bit of background for those who were interested to find out more. By exploring further, you can learn more about the individuals who inspired the characters, as well as the historical events and the sites which feature in the book. There’s also a reading list, if you want to track down the sources for yourself, and links to some web resources which should prove useful. The website also gives you an opportunity to find out more about me – about my writing, and about my alternate existence as an archaeologist, too. I can be contacted at louise@louiseturner.co.uk .